Don's parents, aunts, and uncles played cards: pinochle and euchre, but not bridge. In college, Don and a fraternity brother, Larry Allen, learned to play bridge and played in a bridge club at Bowling Green State University his junior year. He did not play bridge in the Army or in graduate school at the University of Michigan. He started working at Connecticut General Life Insurance Company in 1955, but a year later when Mary Towne and Janet Rosen moved into his apartment building in September 1956, he learned Mary liked to play bridge. She was dating someone who was in the Army so she would not go out on a date with Don, but he convinced her that playing bridge was not a date. We were married in August 1957. We played social bridge until we purchased a vacation home in Vermont in 1965 and then stopped playing. The exception was when we went to the annual meeting of the Society of Actuaries they had a small bridge tournament one night. These games have since been discontinued. Don joined the ACBL in late 1992 at age 62. We moved to Naples in early 1993 and played occasionally He only earned a few points each year playing in Club games when in Naples. Once he started playing in tournaments it was easy to pick up points..
Mini-McKenney Awards are made by the ACBL each year for various master point levels for the highest number of master points won in each Unit. Don is in Unit 175, a small Unit comprising all of Vermont. The results are no longer available prior to 2002. 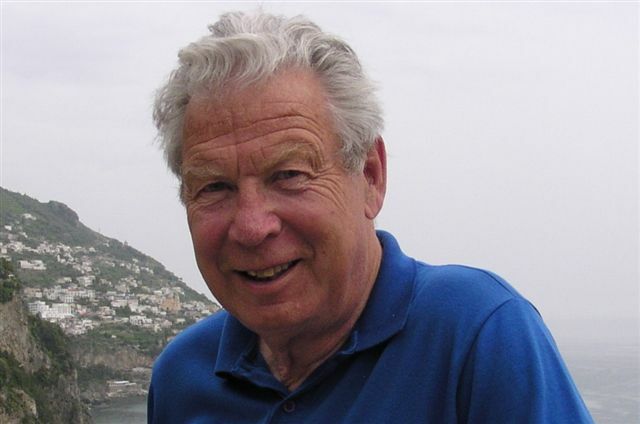 Don won the award as a Bronze Life Master in 2002. As a Silver Life Master, he: was second by 9 points in 2003, won in 2004, was second in 2005, was fourth in 2006, and won in 2007. As a Gold Life Master, he finished third in 2008, 6th in 2009, a distant 4th in 2010, even 5th in 2011, and a not surprising 9th in 2012. Even less surprising was not making the top 10 since 2012. Don went to at least 10 bridge tournaments each year between 2001 and 2007 in the US and in Canada. Don does not play bridge in Vermont May thru mid October and seldom goes to tournaments. His last National tournament was in 2010. He attended 3 Regional tournaments in 2011, 2 in 2012, and 1 in 2013. He still plays a lot of local Club games when he is in Naples, FL.100 points a year is no longer in the cards. He only played four months of club games in Naples in 2015. Don joined the American Contract Bridge League (ACBL) on October 23, 1992. He only won a few points each year as he played almost entirely in Club games the first five years. I had an interesting partner: Lucette Gaudreault, from north of Montreal. Lucette and her husband Raul had a "fifth wheel" trailer and spent winters in Naples. Don and Lucette played bridge and Raul went fishing. Don could not understand her as she only spoke French. We played in a bridge tournament in the fall of 1997 in St Foy, near Quebec City. After each game, she would say bye bye and disappear. We had a so so tournament and played with two French Canadians that spoke English the last three days. We had a poor KO, a poor Swiss, and I said we should not play with them the final Swiss on Sunday. She said they will play better tomorrow. They did. After four rounds we were second to the Canadian National team only a few Victory Points behind. Time for lunch. Lucette said bye bye.  I looked at our partners. They said we will go to an Italian Restaurant. I said we should ask someone. Usually the final Swiss is a play thru or only a short break. . They said they understood the announcement in French and we have plenty of time. They said, but no drinking as we might be able to win. So, I had spagetti and water. After a bit I became nervous as I did not believe we had so much time. We returned to see Lucette sitting in the foyer. She was livid: scowling and tapping her foot. There had been a short break, and after waiting 15 minutes, our team was awarded a loss against the Swiss National Team. How would we have done had we played them? Quién sabe. We still came in fourth in spite of the blitz we received! Don's best tournaments, at which he won at least 35 points, are shown below. His two biggest tournaments were in 2007. The first year he won more than 100 points was in 1997. Don became an ACBL Life Master in March 1998. This milestone was achieved playing with Mary in Reno for two days after skiing in Tahoe .Here are our teammates from Prince George, British Columbia. They helped him pick up 1.41 gold points, more than the 0.15 gold points he needed. Although an excellent player, Mary does not share Don's addiction to the game. Don reached 500 master points two years later and became a Bronze Life Master in September 1999 in Whitehall, NY playing with Ray Johnson. He had a great start in January 2000, winning almost 50 points. In Orlando in January 2000 he reluctantly played in one KO with an 80 plus year old Anna Kuhns and our win made her a Life Master. Don won as many points in 2000 as in 1998 & 1999 combined. 2001 started slowly, but the 50 points in May in Ottawa was great. He became a Silver Life Master when he reached 1000 total points in March 2002 playing with Julie Van Stone. That year he won 50 points in April in Ft Lauderdale, 35 points in June in Saratoga, and 30 points in July in Montreal. Don played fewer tournaments in 2003, with his best result in October in Kingston, ON winning 34 points. In 2004 he won 58 points in February in Reno, 27 points in March in Miami, 34 points in May in Kingston, and 56 points in November in Orlando. His best results in 2005 were in March in Orlando and in October in Ottawa where he won 31 and 32 points respectively. In Orlando he and Charlie "Sam" Hill played in a one strat "handicapped" KO with Lars Moquist and another Swede. There were only three rounds. The first round was a three way match. The our team and another team both beat Rodwell and Meckwell after adjusting for the handicapped IMPS (International Match Points) our respective teams were given. Our team then won our next head to head match. In the final match for first place we played Paul Soloway's team. Paul has more masterpoints than anyone in the world, over 60,000. We were given a handicap of 20 IMPS. That disappeared in the first 12 boards and we lost the match by about 50 IMPS. 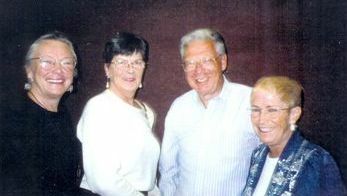 In July 2006 at the Chicago NABC Don played with two partners: Scott Hiller and Audrey O Connor to win 43 points. Here is a winning Knockout Team of Tom Doyle, Ed Lewis, Don, and Scott Hiller. In August 2006 in Montreal he won 21 points playing with Barb Hastings and Paul Lord. In early October 2006, there was a Regional Tournament in Naples, Florida. Don played with 8 different partners, 6 of which he had never played with, earning over 30 points. In playing in a Knock Out event with Greg Goggin and helped Greg get the points Greg needed to become a Life Master. In mid October 2006 he played in Danbury, CT winning only 16 points. Don started well in January 2007, winning 39 points in Orlando. In April he went to the tournament in Gatlinburg for the first time (instead of Fort Lauderdale), and collected 83 points. The June issue of Table Talk, a publication of the Vermont Bridge Association, included an article about Don. Don Sondergeld of Hubbardton is our featured personality this month. He is within inches of becoming a gold life master. I was born a "Buckeye" in Toledo, Ohio at Flower Hospital in 1930. I become valedictorian of my high school class in 1948. I then went to Bowling Green State University, graduating in 1952. After two years in the Army I went to the University of Michigan and received a MS in theoretical mathematics in 1955. From 1955 to 1991 I worked as an actuary. Most of my career was at The Hartford Insurance Company where I was Senior VP and Chief Actuary and a Director of its Worldwide Life Insurance Operations. In 1955 I got hooked on skiing, joined the Hartford, CT Ski Club and learned to ski at Mad River Glen, where the Club had a lodge. In 1965 my wife Mary and I bought property on Beebe Pond in Hubbardton, VT, built a year round vacation home, and spent a lot of time in Vermont with our five children where we began skiing at Pico. In 1991 I retired and became president elect of the Society of Actuaries (SoA) for one year, followed by one year as president. As president elect of the SoA one duty was to talk with new members of the SoA at workshops about Professionalism. To start the discussion, I would ask if they played bridge. Most would say no, as compared with my estimate of the majority who played back in 1955 when I was a young actuary. I told them about Oswald Jacoby, an actuary who developed many conventions and at one time had the most number of master points. Many thought Charles Goren was an actuary and I said no. I then mentioned that Goren developed a point count system to evaluate high card strength using 4 for an Ace, 3 for a King, etc. However a Canadian bridge playing actuary and friend of his, William Anderson, told Goren he should also take into account what you don't have, i.e. distribution. So Goren incorporated distributional points into the system. William Anderson was president of a Canadian life insurance company, and at one time was president of the Canadian Institute of Actuaries (CIA) and also president of the SoA. In 1956, while president of the SoA, Andersen got that organization to adopt a Code of Professional Conduct for the first time. I then urged the new members, who were also new professionals, to carefully read and adhere to the Code. Anderson thus made a very important contribution to the actuarial profession in addition to helping refine Goren's point count system. In January1993 I bought a condo at the Naples Bath & Tennis Club in Naples, Florida and started spending November, January, and April in Florida where I played tennis every morning. (February and March were for skiing). I got hooked on bridge and started playing every afternoon. I soon learned that bridge had changed since my college days, and I needed to learn many new systems. I played with whomever the Naples Bridge Center matched me with as I had no steady partners. I am still somewhat of a transient and when I am in Florida will play with anyone who asks me, especially players with very few points. I want to help them learn to play better bridge, the same way others helped me over the years. I currently have 2450 master points and expect to become a gold life master this year, as I plan to attend the remaining two Nationals and a few Regionals. I usually go to tournaments without a partner and enjoy meeting and playing with new people. Mary and I will celebrate our 50th wedding anniversary in August of this year (2007) with family and friends at the Mountain Top Inn in Chittenden, VT. We spend a lot of time traveling. Last year we went to Iceland. This year we will be in Prague and Budapest and 10 days on the Danube to Bucharest the last two weeks of June. Although Mary is a good bridge player, we play social bridge together, as she dislikes tournaments. There are many jokes about actuaries who are perceived as only looking backwards. I am also interested in history. I published a 200 page History of Hubbardton, Vermont in late 2005. I sold all of the copies of the book. I then printed 250 copies of a 208 page second edition. The 2000 population of Hubbardton was only 752. I then published a History of Sudbury, VT. I have yet to sell a copy of either book at a bridge tournament. HELP. Don won over 85 points and became a Gold Life Master playing with Eddie Katten at the National Tournament in Nashville in July 2007. In August, Cathy Chell and Don won 42 points in Montreal. Then in September 2007 he picked up 65 points in Naples, FL playing with Steve Wallis, an excellent young player from Tampa. In April 2008, he won 37 points with Mike Patel, Ed Katten, and Sam Atabaki in Gatlinburg where he also had dinner with Lars Moquist a fantastic bridge player and disk jockey from Sweden. Don played eighteen days in April and was the top master point winner with over 19 points. The article below was written about Don. Don had an OK tournament in Saratoga Springs, NY in May 2008 winning 25 points with Don Robertson. We also played together in a five day tournament in Sturbridge, MA in June and picked up 18 points. In August Don went to Las Vegas for a National Tournament. He played a lot of team games with his roommate Ed Katten. Carl Gueli and his wife Lydia Betz were the other teammates and Don won 67 points. He played with Cathy Chell in Montreal for 5 days in August and picked up 22 points. Skipped the tournament in Naples in September, as Mary was recovering from a heart attack. Don did attend the first week of the National tournament in Boston before Thanksgiving. A poor result, winning only 19 points. January 2009 started poorly with only 19 points won in Orlando. No better in March in Houston with 24 points. The best part was meeting Wanda King, a blues singer from Big D, in The House of Blues. Upon returning to Naples, had dinner with part of our team: Scott Hiller, my roommate and Lynne Cook and her husband Jim. 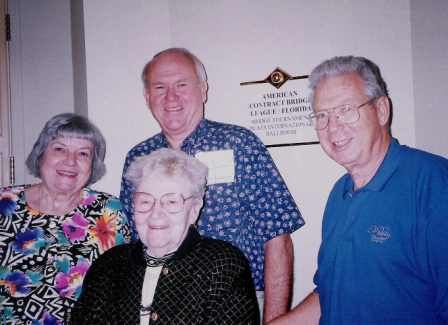 On April 2, 2009 there was a luncheon at the Naples Bridge Center followed by a game to help celebrate Mary Mason 's 98th birthday. Here she is with Walt Steffen. Don went to Montreal in August 2009 for 4.5 days and played with Cathy Chell from Ottawa. Sam Tekbas and Suzanne Kingsley were our teammates for the first KO. We came in second. Suzanne only needed 11 Gold points to become a Life Master and we won over 13. Second place was our best result. Suzanne was not available and a substitute with a lot of points caused us to play in the top bracket in the next two KOs. We had our heads handed to us and only won 17 points for the few days we were there. In late September 2009 Don went to a Regional tournament in Naples, FL and played on a four man team consisting of Steve Wallis, Scott Hiller, Adam Kaplan (a 13 year old wizard*), and Don. We messed up a few events but picked up over 56 points, and were in the top 3% of over 1000 players. We came in 4th in the Open Swiss on Sunday, losing only one match, and that by only one International Match Point. Our team had about 8,500 master points and some professional teams had over 100,000 master points. In January 2010 played in the Orlando Regional. Our team had almost 11,000 points but we were in the bottom of the second Knock Out bracket and lost a number of times in the first round against teams with 20,000 points. Still picked up about 22 points. In March, Don went to the National in Reno and had a poor tournament, picking up only 25 points. On April 2, 2010 the Grande Dame of the Naples Bridge Center celebrated her 99th birthday. Here is a picture with the party organizer: Joyce Makely plus a few more with Charmaine Powers, Dorothy Coakely, Jeanne McCarthy, Dora Carlson, and with Walt Steffen & Betty Searle. And here she is one year ago, in 2009, with Walt Steffen. Walt, an actuary, was one of my favorite bridge partners. He died December 10, 2010 at age 92. Don went to the terrific regional in Gatlinburg, Tennessee for the third time.. Although he never lost a first round KO, he only got past the second round twice. Still managed to pick up 33 points. Gatlinburg has been kind to Don in his six trips to that funky town in Tennessee. He used pick up partners in 2013 and would have picked up another 10 in 2013 but had a teammate's cell phone penalty that turned a win into a loss. 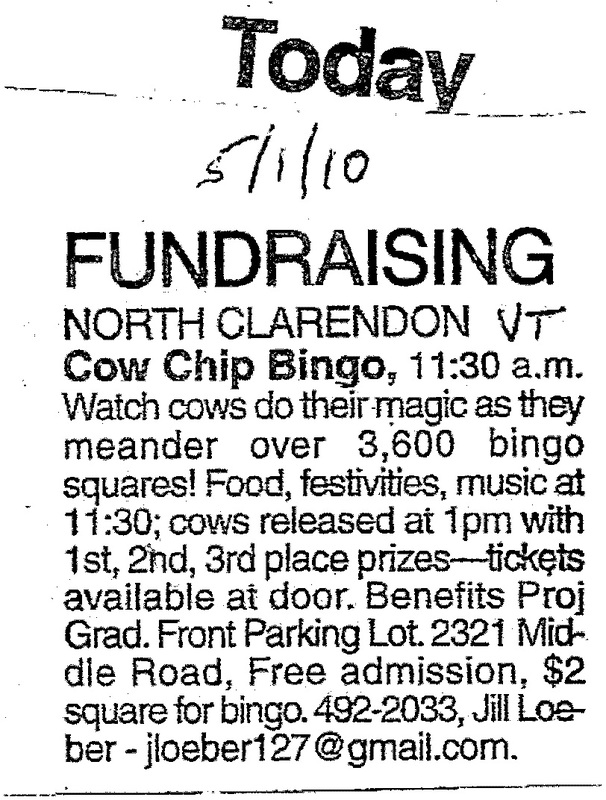 On April 28, 2010 we flew home to Vermont where Don started experiencing withdrawal pains, and may try Cow Chip Bingo. The last time Don played in Kingston, Ontario was in 2006. But, in May 2010 he won over 38 points in that lovely city, playing part time with Cathy Chell (below), winning two KO's. Bill was the leader at Kingston with 84.3 master points. Cathy and Peter tied for second, winning 63.04 master points. Don went to Nashua NH for 2.5 days before Labor Day 2010 and picked up 10 points. He played with Paula Mann, an excellent player. We had a 69% and a 55% to win the Wed-Thurs Side game Series. We lost the Regular KO and the Compact KO we entered but played well in the tough top bracket. We were second in a one session Swiss, and won all four of our matches. In Naples, in September 2010, Don played with four different partners: Greg Goggin, Calvin Cobb, Phil Yorston, & Brenda Jaffe. Had a fair tournament picking up over 24 points. Started 2011 in Orlando winning only 17 points. Could only get to two semifinals in the KOs and lost both. Don did not win any points at Mary's celebration. However, Don did win 25.54 master points in March at the Naples Bridge Center. This was more than any other bridge player. In April 2011 Don went to the Gatlinburg Regional and played with Eddie Katten in the morning KO's and 6 other pickup partners on pick up teams in the other events. The only KO Don got past the second round was with Eddie, and received only 25 master points. He did not play any bridge the next 5 months in Vermont as he is cutting back on going to tournaments. Picked up 20 points in his third tournament in Naples in October 2011. Don skipped Orlando in January 2012 but should have played with one of his favorite partners Catherine Chell. 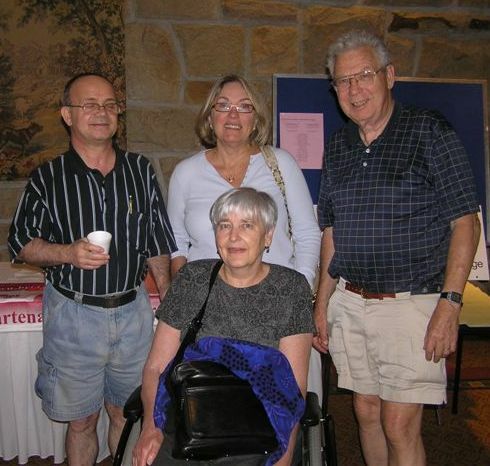 Don loved Cathy, a widow and a wonderful lovely person who traveled to bridge tournaments in spite of her having multiple sclerosis for 20 years. She died on May 19, 2012 in her 72nd year. Don played 12 tournaments with Cathy: four in Orlando, three in Montreal, two in Houston, and one each in Kingston, Boston, and Saratoga Springs from 2007 through 2011. She had over 2700 points. A fierce competitor who loved to win. We will all miss Cathy. Another nice bridge player from Ottawa, Sam Tekbas, died of cancer this year. Don will not attend any of the Nationals this year. In April 2012 Don went to Gatlinburg and played with Eddie Katten in the morning and John Hackett in the afternoon and evening. He picked up over 32 points winning one KO and placing second in another. at that tournament he went over 3500 master points which made him a Sapphire Life Master. As in 2011 he did not play any bridge the next 5.5 months in Vermont but played with five different partners in the Regional in Naples in October. Picked up over 38 points, primarily with Nele Rzad. In 2013 played in only one Regional, but in Gatlinburg in April. In Gatlinburg Don only picked up 20 points. On the day before the tournament he learned his afternoon partner was not coming. As usual he roomed with Eddie Katten and played with Eddie in the mornings. We were second in one knockout. However, the other games had Don finding pick up partners. One of his partners had two cell phone violations which cost us a half board in a pair game and 6 IMPs in a KO. Another partner had her cell phone go off in the second round of a KO. We had won that by 4 IMPs, but the 6 IMP cell phone penalty turned the win into a loss! The 10 gold points minimum we would have received by getting to the third round of this KO ... vanished. In 2014 only played a few days in a Regional tournament in Saratoga Springs with Don Robertson, and picked up only 9 points. Lucky to win 88.60 total points in 2014 playing only half the year in club games. Don started 2015 well, winning 30.68 black points in Club games in Naples in January. By not not going to any tournaments, he was lucky to win 83.29 total points in 2015. Don does not plan to play in any tournaments in 2016, so expects to continue earning under 100 points per year. For early background see Actuaries and The Rule of Eleven and Crossing The Finish Line. The best leads are called Attitude Leads Read Don's article on Vacant Places. Also examine a demonstration that the calculation of the probability of missing cards in a suit splitting a specified way can be done using either Combinatorial Math or Vacant Place Math. Don now plays Club games six months a year, primarily at the Naples Bridge Center, which was ranked: 20th in 2010, 17th in 2011, 15th in 2012, 13th in 2013, 14th in 2014, and ranked 11th in Table Count among Bridge Clubs in the US and Canada in 2015. In 2015, 12 of the top 50 Bridge Clubs were located in Florida. Naples Bridge Center was 6th out of those 12. In 2013 will only probably play only two Regionals, one in Gatlinburg in April and one in Naples in September. In Gatlinburg Don only picked up 20 points. On the day before the tournament he learned his afternoon partner was not coming. As usual he roomed with Eddie Katten and played with Eddie in the mornings. We were second in one knockout. However, the other games had Don finding pick up partners. One of his partners had two cell phone violations which cost us a half board in a pair game and 6 IMPs in a KO. Another partner had her cell phone go off in the second round of a KO. We had won that by 4 IMPs, but the 6 IMP cell phone penalty turned the win into a loss! The 10 gold points minimum we would have received by getting to the third round of this KO ... vanished. Don started 2015 well, winning 30.68 black points in Club games in Naples in January. Don now plays Club games six months a year, primarily at the Naples Bridge Center, which was ranked 13th in Table Count among Bridge Clubs in the US and Canada, having moved up from 15th in 2012, 17th in 2011, and 20th in 2010. In 2013, 13 of the top 50 Bridge Clubs were located in Florida. Naples Bridge Center was 4th out of those 13. Naples Bridge Center dropped to 14th in 2014 and moved up to 11th in 2015. 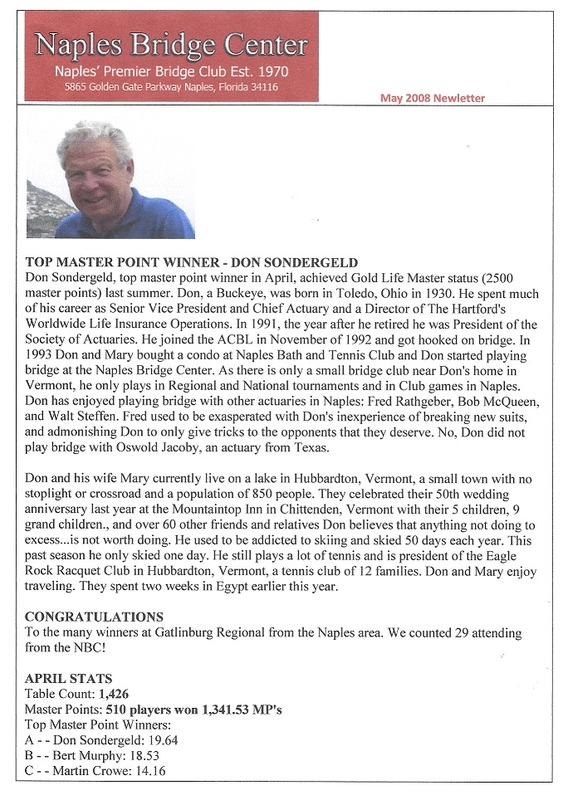 Although Don is now only playing in Club games in Naples six months a year, he attained 4000 total master points on March 2, 2017 playing with Stan Harman.